News Corporation’s WSJ Magazine honoured Raf Simons (fashion), Reese Witherspoon (entertainment), Roman and Williams (design), Ryan Heffington (performing arts), Musical.ly (technology), Mark Bradford (art), and Diller Scofidio + Renfro (architecture) at an awards’ ceremony for its November ‘Innovators’ issue at the Museum of Modern Art in New York on Wednesday. The 2011 design winner, Joris Laarman, designed the award each winner received. Cartier, Flexjet and Autograph Collection sponsored the event. Naomi Campbell, Karlie Kloss, Maddie Ziegler, Constance Jablonski and Martha Hunt were among the VIPs in the 200-strong audience. 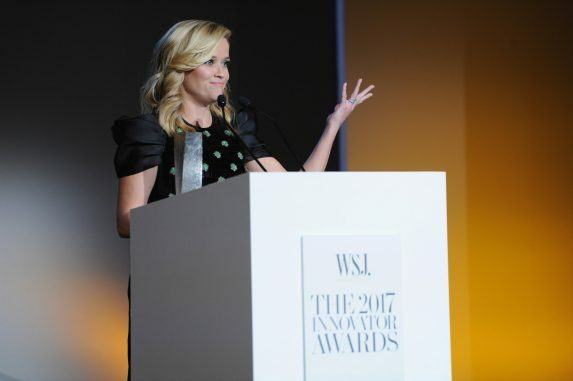 It is the seventh year of the awards. The issue goes on sale November 4 in the US, and internationally on November 5. Each recipient is profiled at the magazine’s website. 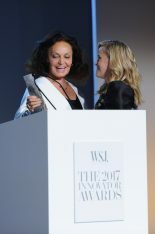 Witherspoon, who won her award for her acting, production franchise, and lifestyle brand, received her award from Diane von Fürstenberg. 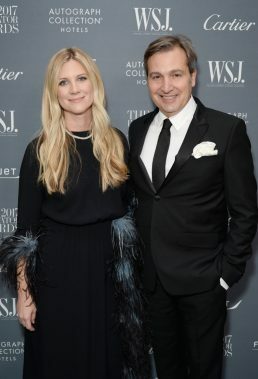 Marc Jacobs presented the fashion award to Raf Simons, honoured for his ‘thought-provoking yet lyrical work,’ while Gwyneth Paltrow presented to Roman and Williams’ Robin Standefer and Stephen Alesch for their design work, which includes the Metropolitan Museum of Art as a client. 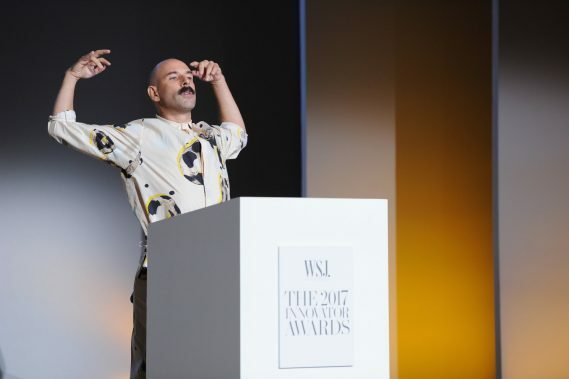 Maddie Ziegler presented the performing arts’ award to Ryan Heffington, who choreographed The OA, Baby Driver, and Sia’s ‘Chandelier’ video. 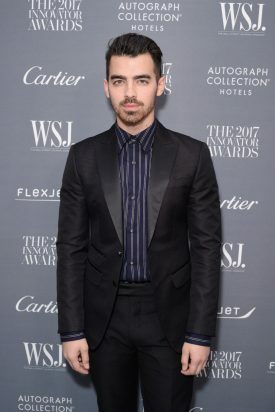 Chinese social media site Musical.ly, founded by Luyu Yang and Alex Zhu, sees millions of teenagers post videos—Joe Jonas presented the technology award to them. Mark Bradford, who presented at the 57th Biennale di Venezia and is preparing to exhibit a 400 ft painting, received his art award from Glenn Lowry, while Roni Horn presented the architecture award to Diller Scofidio + Renfro, the New York firm led by Elizabeth Diller, Ricardo Scofidio, Charles Renfro and Benjamin Gilmartin.